Marcel Scharth is a Lecturer in Business Analytics at the University of Sydney Business School. He specialises in the fields of statistics, econometrics, machine learning, and data science. Marcel received his Ph.D. from the VU University Amsterdam and the Tinbergen Institute in 2012, and has previously worked as a postdoctoral fellow at the University of New South Wales. 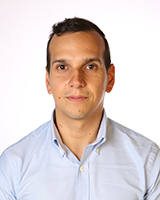 Marcel is also affiliated with the Centre for Translational Data Science at the University of Sydney, where he engages in cross-disciplinary research in collaboration with partners in academia and industry. Marcel's research interests include Bayesian methods, computational statistics, statistical learning, time series, and causal inference. His work has been published in journals such as the Journal of Econometrics, The Review of Economics and Statistics, and the Journal of Business and Economic Statistics. Marcel currently teaches courses in statistical learning and advanced statistics. His teaching approach emphasises the development of conceptual understanding, statistical reasoning, analytical thinking, and computational skills, drawing on applications that highlight the connection between statistics and business decision making. Marcel has a strong interest in the science of learning, online education, and educational innovation, in particular the use of problem-based learning and other student-centred strategies. Marcel also pursues professional and community engagement on Effective Altruism, including research collaborations. Marcel's current research focuses on Bayesian methods, Monte Carlo methods, statistical learning, time series, financial econometrics, causal inference, especially the intersection between these areas. His primary research focus is the development of Bayesian and computational methods for the estimation of complex high-dimensional models, in particular models for dependent data such as time series and longitudinal data. One of his key topics of research has been the estimation of state space models for time series based on Monte Carlo methods such as high-dimensional importance sampling, sequential Monte Carlo, Markov Chain Monte Carlo (MCMC). Marcel's research has also highlighted the application of these methods in financial econometrics, in particular for the estimation of univariate and multivariate stochastic volatility models. Marcel's current research also focuses on Bayesian machine learning and statistical learning methods for time series and longitudinal data. This research addresses the challenge of learning complex and possibly time-changing nonlinear regression patterns and lower-dimensional structure from dependent data, while accounting for standard time series patterns, mixed effects, and other features that arise in this type of data. Jofre M, Scharth M, and Gerlach R (2016) Complete Subset Logistic Regression for Corporate Fraud Detection Australian Statistical Conference 2016; Statistical Society of Australia, Canberra, Australia. Allen D, McAleer M, and Scharth M (2009) Pricing Options by Simulation Using Realized Volatility The 18th World IMACS Congress and MODSIM09 International Congress on Modelling and Simulation; Modelling/Simulation Society of Aus and NZ & International Assoc for Math and Comp in Simulation, Cairns.